The life of a single parent is quite interesting. A single mother should be able to perform the role of both parents on her own. Speaking to single moms, they usually sound like they always have a lot on their plate. We are all familiar with their usual complaints of having to rush home immediately from work, picking up the kids, dashing out to the supermarket and still being able to set dinner on the table. If raising kids as a couple have its own challenges, now imagine doing it all alone. Being a single mother requires a great deal of courage, confidence, and resilience. According to the latest national statistics, in every two children, one is raised by a single parent. Parenting alone makes your responsibilities become burdensome, especially if you receive inadequate support. Always have in mind that children will fight to attain whatever they desire. Not giving in to their demands or challenging their behaviors when inappropriate are very tiring tasks. A single parent who has just separated or used a family law attorney to get divorced might be in contention with their ex, spending a great of energy on the subject. There are a good number of children who get caught up in such conflicts affecting them emotionally. A widowed single mother will have focused her energy on her grieving. Imagine raising a child who has ADHD, learning disabilities or Oppositional Defiant Disorder on your own as a single mother. Without any assistance from a partner, it can get pretty exhausting if not overwhelming. Single parents are pegged up in such situations as they do not have a partner who can pick up the slack when they take a break. Single parents when under a great deal of strain and stress tend to give into their children’s demands. This clouded judgment might result into frequent arguments and burst outs due to the exasperation. In as much as you will be much closer to your children, you might be unable to clearly set out limits. This might have a direct effect on the level of respect the children display to you. 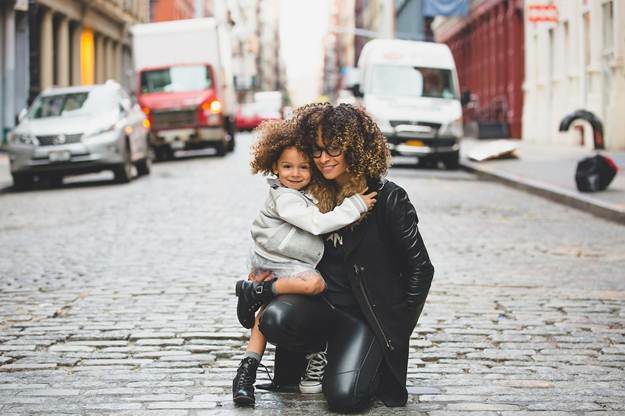 So what are some of the insightful tips that might be perfect for single mothers? Always maintain a network of individuals who are supportive and caring. To get them to get closer to your family share trips and holidays among friends and family. If your child needs their support, encourage it. By creating firm adult driven relationships you will not be leaning too much on your children when seeking emotional support. Joining babysitting co-ops are economical in addition to being a wonderful place for parents to interact. As parents with kids who are closely the same age, you can look after each other’s children in turns. Life gets much easier if your children can collaborate with you to accomplish common tasks or chores. Such responsibilities should be arrived at through consultation and consensus. When done with dinner you can have your son or daughter help out with cleaning the dishes. As a single parent, whether divorced or separated, it’s always advisable to maintain reason and civility between you and your ex. Conflicts usually have a negative bearing on the psychological state of the children resulting in strong feelings of frustration, bitterness, and stress. Always work on your emotions and how you communicate with your children so they are not caught in between the fray. Salvage a few hours frequently for some fun and relaxation with your children. Keep off the negative distractions and try to enjoy the moment with your children. A family playtime is not a bad idea and can weekly. Feel free to get off the couch, turn the TV off and go play a little baseball outdoors. Leading psychologists confirm that this helps reinforce your emotional connection. This might seem trivial but it’s very important, especially for morale. You can come up with a list of successful individuals who were raised by single parents. So whenever you have a rough day, you can reference to them and you will feel much better. You will be surprised by the huge number of successful single mothers out there once you are done with your list. Do not get obsessed with trivialities that might result in a loss of focus of your parental responsibilities. For instance, if the other partner is unable to make it to your child’s graduation or birthday, that’s okay. It’s his issue – not yours. Focus on what’s within your control. This entry was posted in Other Stories and tagged Mother, single.